Workplace injuries are more common than you may think. 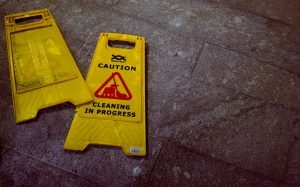 In a news release issued earlier this month, the Bureau of Labor Statistics reported that there were 2.8 million nonfatal workplace injuries in 2017. Of those injuries, almost 890,000 required the employee to miss work. For many of us, missing work means lost income. The situation gets even more complicated if your injury leaves you partially or totally disabled, even if the disability is only temporary. And unfortunately, many of these injuries are preventable. As a result of ever-increasing pressures to be profitable, many employers become careless with regard to their employees’ safety. Using statistics from the Occupational Safety and Health Administration (OSHA), we’ll review some of the ways that employers routinely put the safety of their employees at risk. Inadequate fall protection and training. Employers can violate OSHA regulations by failing to install guardrails, provide safety harnesses, or take other measures to guard against falls. OSHA also mandates that employers provide sufficient training to employees in order to help them avoid fall hazards.